Horary astrology is a distinct branch of astrology. It’s astro-divination – a method of divining the future – and if you want a correct answer to some important question regarding the future horary astrology is your best bet. 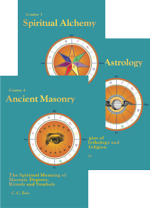 A horary chart is constructed for the time a question is first clearly thought or formulated in your mind and following a definite procedure the chart is assessed to judge the answer. 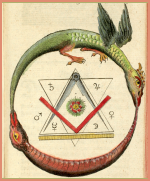 In Brotherhood of Light Course 8 – Horary astrology – lesson No. 89, CC Zain explains that: ‘Although horary astrology conforms to scientific principles in all its parts, it is less rigid than natal astrology; for natal astrology is an exact science, but its methods are less dependent upon the personal equation.’ This personal equation refers to judgements regarding the horary question’s birth time and the assessment of the chart based on rules that are subject to personal interpretation all of which compromise the credibility of horary astrology as a science. 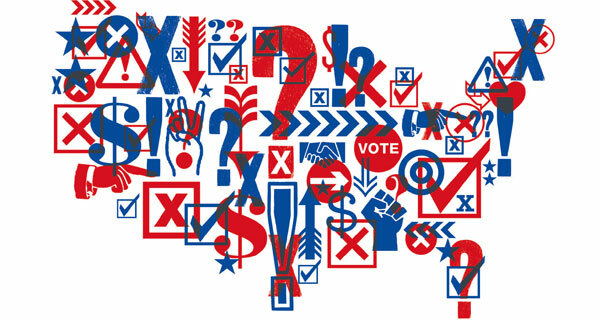 When gauging the winner of an election the method followed by the B of L Monday night astrology class was to obtain the birthcharts of the contending candidates and carefully weigh one chart against the other, with special attention being given to the progressions in the chart of each at the time, and immediately following the election. But, when there was difficulty in deciding which chart with its progressions was the more favorable, a horary chart was erected and the question asked if John Doe (naming one of the candidates) will be elected. The chart was then judged according to the rules given in Horary Astrology – lesson No. 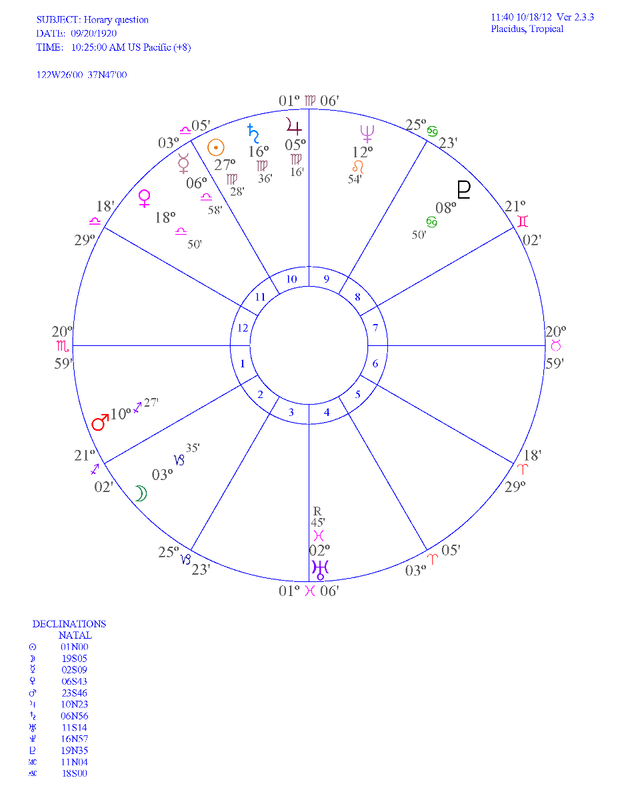 91 – for determining the winner of a contest.’ And in Lesson 91 an example horary chart is presented regarding a question asked about the 1920 US presidential election. Example chart No. 9, was sent to The Brotherhood of Light Astrology class in Los Angeles, and was judged by the class the following Monday evening. The question was, ‘Who will be elected president of the U.S., Senator Harding or Governor Cox?’ The east side of the chart, containing 7 planets, represents Senator Harding. The west side of the chart containing only the doubtful planets Uranus, Pluto and Neptune represents Governor Cox, as he was the second person mentioned in the question. (Pluto was placed in the chart after its discovery in 1930.) The east side of the chart, and therefore Harding has much strength; but the west side having no benefits in it, nor Sun, Moon, nor Mercury, shows decided weakness. The ruler of the first house, in the first, shows that Harding has authority over his own personality, but the ruler of the seventh in the eleventh, shows that Cox is somewhat under the power of Harding’s friends. The ruler of the tenth is on the east side, and the ruler of the fourth is on the west side; but Jupiter, Saturn and the Sun in Harding’s house of honor give it greater power than Uranus in the house of honor of Cox. The class, without hesitation, decided that Harding would be elected.’ And he was. But in 1949 the whole process of judging the winner of a contest by horary astrology experienced evolutionary change. That’s when Elbert Benjamine and William Drake conducted the only horary research project that employed astrodynes, harmodynes and discordynes. Therefore, working with a less precise, but quicker and easier method, we calculated the astrodynes of all aspects involving the MC, planets in the tenth, and the ruler, or rulers, of the cusp of the tenth house (the ruler of the cusp of a house has ½ the power over the house it would have if actually in the house. )…..We then added the astrodynes of all the harmonious aspects thus influencing the tenth house, and added the astrodynes of all the discordant aspects thus influencing the tenth house. If there were more harmodynes than discordynes, we judged the team asked about should have won. But if there were more discordynes than harmodynes, we judged the team asked about should have lost. In other words, in a horary contest chart the harmony or discord possessed by the tenth house indicates the fortune of the contestant asked about. If harmony predominates s/he will win and if discord predominates s/he will lose. But (for some unknown reason) an important factor mentioned in the original 1949 research report was omitted from the reports given in Astrology – 30 Years Research and the C of L Astrological Research and Reference Cyclopedia Volume 11. Where the aspect (to the tenth house) was within the one effective degree of perfect required for a progressed aspect, we added to the birthchart power of the aspect, the percentage of this power indicated by the closeness of the progressed aspect to being perfect, considering the power of the progressed aspect to be that of the birthchart aspect when perfect, and half that of the birthchart aspect when at the one degree orb limit. In words that are a little less abstruse: Elbert Benjamine and Bill Drake checked all the aspects to the tenth house in each horary contest chart and those that were within a one degree orb were judged to have the influence of a progressed aspect. They then measured this influence by calculating (a) the distance (in minutes) the aspect was from perfect and multiplying the harmony or discord of the birthchart aspect by (a) and dividing the answer by 120. This number was then subtracted from the aspect’s birthchart harmony or discord to reveal an additional number of harmodynes or discordynes to be added to or subtracted from the tenth house. It’s often the case, in practice, that there are no aspects to the tenth house within a one degree orb so the horary chart’s tenth house harmony or discord indicates the winner and answers your question. But if there are one or two progressed aspects the calculation that gives the answer greater precision is not difficult. It’s easy to sight if two planets are within one degree of perfect although the semisquare and sesquisquare are a little tricky. To calculate their distance from perfect, take the smaller minute from the larger. If the degree numbers are different add 60 to the smaller minute making it larger and then proceed to take the smaller from the larger. Note your answer (a) and then check the aspect’s harmony or discord by referring to the aspect grid on the astrodyne report. (Ignore neutral aspects.) Now it’s just a matter of multiplying the harmony or discord of the aspect by (a) the distance the aspect is from perfect, dividing the answer by 120 and subtracting your answer from the aspect’s birthchart harmony or discord. Additional progressed harmony is then added to the tenth house harmony or subtracted from the tenth house discord; and additional progressed discord is added to the tenth house discord or subtracted from the tenth house harmony. Having completed this bit of fine-tuning the total number of harmodynes or discordynes influencing the tenth house of the horary chart indicates the winner of the contest. In winning a game, a prize fight, or an election, the main objective is the honor thus to be gained, although money or other considerations may be of secondary importance. Therefore, the success likely to be attained is judged by the harmony of the house of honor and business (tenth). We have found it a mistake to ask a question with alternatives. It confuses the issue to ask, Will I do better where I am, or better by moving to a different city? Instead the question should be asked about the thing in which at the moment there is most intense interest. where there is much interest, the question should be asked relative to the team which one desires to win, or about the team which at least, there is the most interest. Do not ask, Will such and such a team beat such and such a team? Or in the case of an election, Will Truman or Dewey win the election? Pick the man you desire to win and ask about him. Ask, Will so and so win the election? Now it’s not known in how many instances the Brotherhood of Light Monday night astrology class actually judged the winner by assessing the candidate’s birthcharts or asking a horary question. 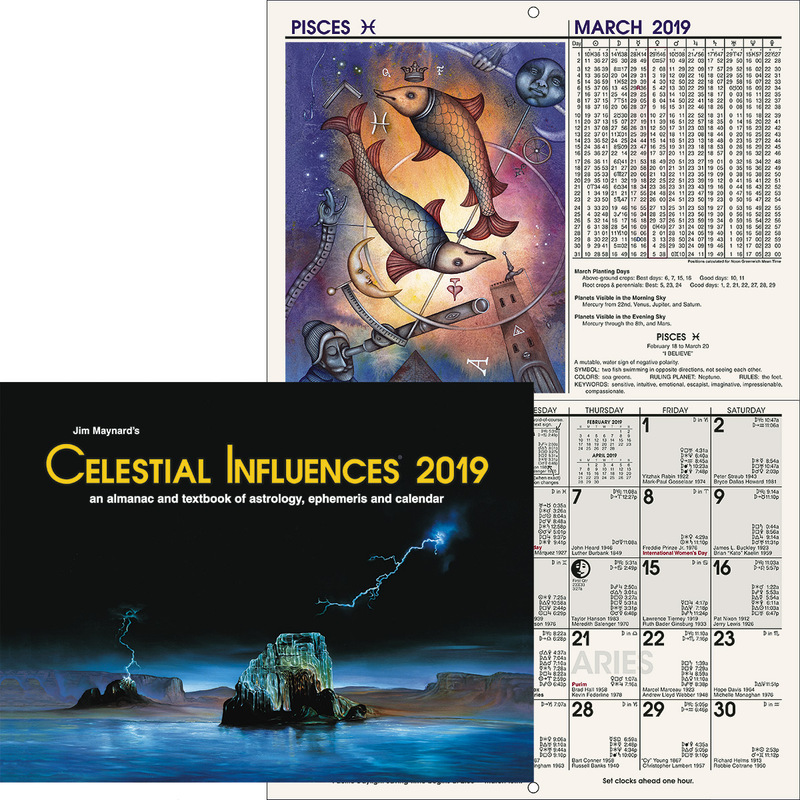 We have been informed that a horary question was only asked if ‘there is difficulty in deciding which chart with its progressions is most favorable toward acquiring the office’, but this could have been in every instance or none. The local and national elections held in the US from 1916 to 1936 were all judged using the procedure given in Lesson No. 149, but there was no instance where both the candidates had an accurate birth time. There is no birth data available for Governor James Cox (see the 1920 horary question). This doesn’t mean the Monday night class didn’t have a birth time, it just means that if it did we don’t know what it was or its source. And Warren G Harding’s birth time is uncertain. It is known that in several instances the class used birth times that were incorrect. So, under these circumstances, it would seem that a horary chart would have been far more reliable when judging the winner of the election than the candidate’s birthcharts. And now in 2012 the astrologer has to decide which chart – Barack Obama’s or Mitt Romney’s – is the more favorable for winning the US Presidency. And it’s a pretty close call. Working with ‘safe’ data Barack Obama has two obstacle (square) aspects – progressed Sun square Venus and progressed Mercury square Jupiter – to overcome. And Mitt Romney has one obstacle (square) aspect – progressed Uranus square birthchart Sun – and two opposition (separation) aspects – progressed Mercury opposition birthchart Moon and progressed Mercury opposition birthchart Jupiter – to contend with. So neither chart is displaying outstanding harmony that’s indicating it has a winning edge. The all important tenth house in Obama’s chart is ruled by Mars and Pluto and Mars is trine (luck) and square (obstacle) Saturn and sextile (opportunity) Uranus, and Pluto is sesquisquare (agitation) Saturn and sextile (opportunity) Neptune. House 10 in Romney’s chart is ruled by Venus, Saturn and Uranus and progressed Venus is conjunction (prominence) Mars in house 12, progressed Mercury is semisextile (growth) Venus and parallel (discordant intensity) Saturn, and progressed Uranus is square (obstacle) Sun. So both candidates have a square aspect influencing house 10 in their charts and a straight astrological assessment of this house indicates that Obama with Mars trine Saturn and Pluto sextile Neptune has more tenth house harmony. But neither chart has progressed Sun trine Jupiter proclaiming ‘I’m the winner’ and neither chart has a progressed Sun square or opposition Saturn announcing ‘I’m the loser.’ (Mitt Romney does have Sun trine Jupiter in his birthchart.) Both charts have a progressed square (obstacle) aspect to the Sun, but Barack Obama also has progressed Sun sextile (opportunity) birthchart Mercury and semisextile (growth) progressed Venus; and Mitt Romney has progressed Sun parallel (harmonious intensity) birthchart Jupiter, parallel progressed Saturn (discordant intensity) and sesquisquare (agitation) birthchart Neptune so a straight astrological assessment of the Sun in their charts indicates that Obama has the more harmonious Sun. But there’s not enough evidence-based research to confirm that the contender with the best progressed Sun will win. So under these circumstances you might decide that it’s just too close to call and that the only way of knowing who the winner will be is to ask a horary question. But just remember that in 1949 the procedure to follow when judging the winning candidate by horary astrology went through evolutionary change. Back then both the horary chart and its tenth house harmodynes and discordynes were calculated by hand so it was a time-consuming and laborious exercise. Now, in the 21st-century, computer age technology has speeded up the calculations and the assessment process. You can ask a question: ‘Will Barack Obama win the presidential election?’, generate a horary chart for the time you ask the question, check out the tenth house harmodynes and discordynes, do the additional calculations and adjustments if there are aspects to the tenth house within a one degree orb and know the answer in minutes. But the integrity of your answer does depend on the strength, impartiality and sincerity of your desire to know.